Some wet relief may be on its way to Central Texas, according to recent forecasts. A true rinse and repeat type of weather pattern has begun to take over Central Texas with daytime highs skirting towards 100 degrees and overnight lows slipping into the mid to upper 70s range. For most areas that have not received much rainfall over the past few weeks, this will be a much-needed relief. 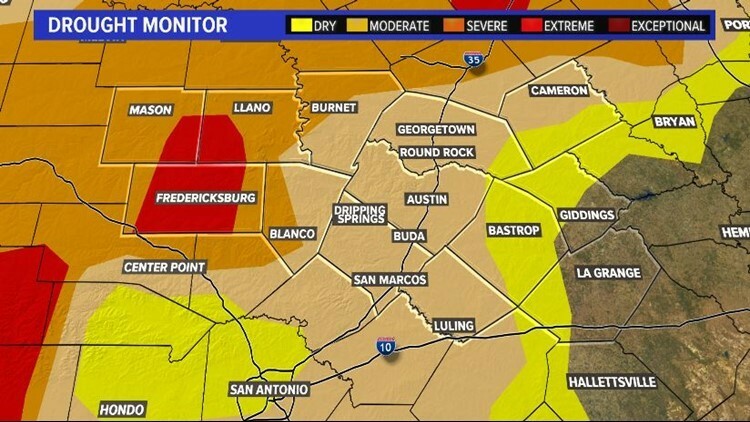 This is extremely necessary for portions of the Hill Country where drought conditions have steadily worsened. Over the next few days, a cascade of sea breeze showers will ride along a south-southeasterly dominant wind flow. 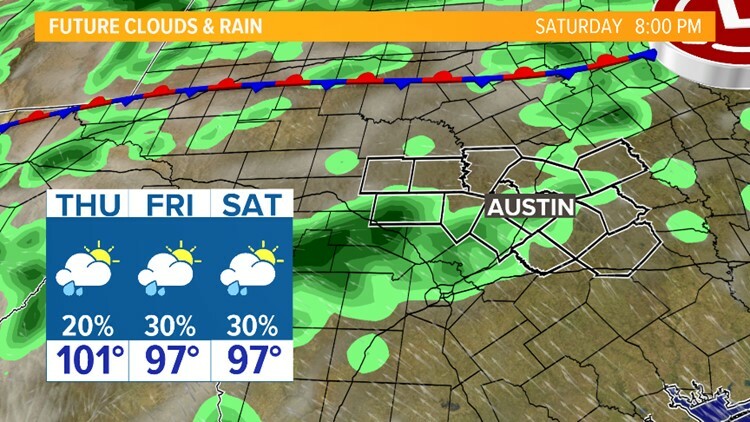 At the same time, an outflow boundary is likely to ignite some scattered showers and a couple of early morning thunderstorms Friday that will mainly impact the Hill Country. Sea breeze showers, developing in the Gulf of Mexico, will continue to pop-up late Friday afternoon, Saturday afternoon and Sunday afternoon. 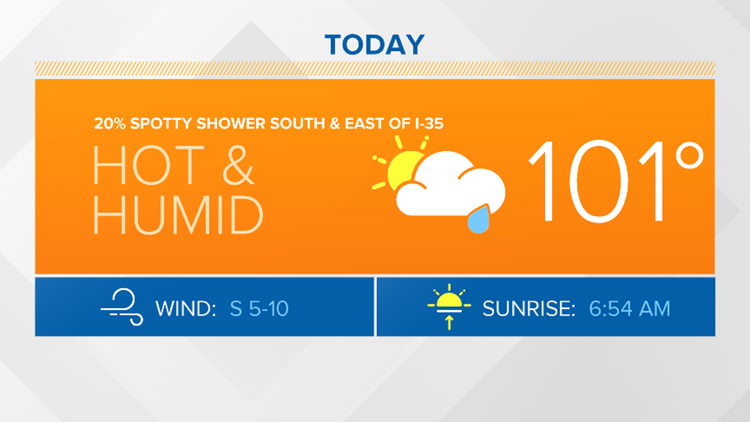 Expect daytime highs to be near the average in the upper 90s with increased humidity thanks to the Gulf-oriented wind flow. Overall, these unseasonable rain chances are not expected to bring a great deal of rainfall. 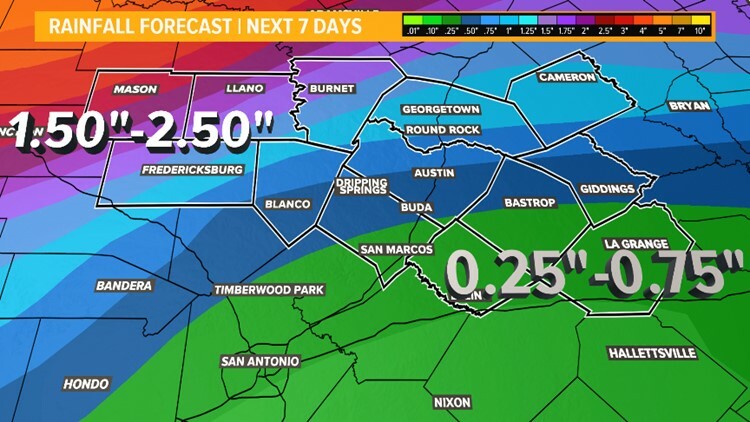 Hill Country residents and those north and west of Austin can expect higher amounts through the weekend of nearly an inch if not an inch and a half. Stay tuned to KVUE for the latest forecasts, as we will be tracking the radar all week!